Beacons Metro have released their first events for 2015, as well as venue details for Manchester and Leeds! Previously a camping festival in Yorkshire, the Beacons team have become a metropolitan festival spanning over more than one city, to give Manchester and more the best music on our own doorsteps (and to return to our own beds!) Cutting edge music, film and art are coming to northern cities this autumn, be on the lookout for more announcements but for now, drool over how brilliant this first wave of events looks! 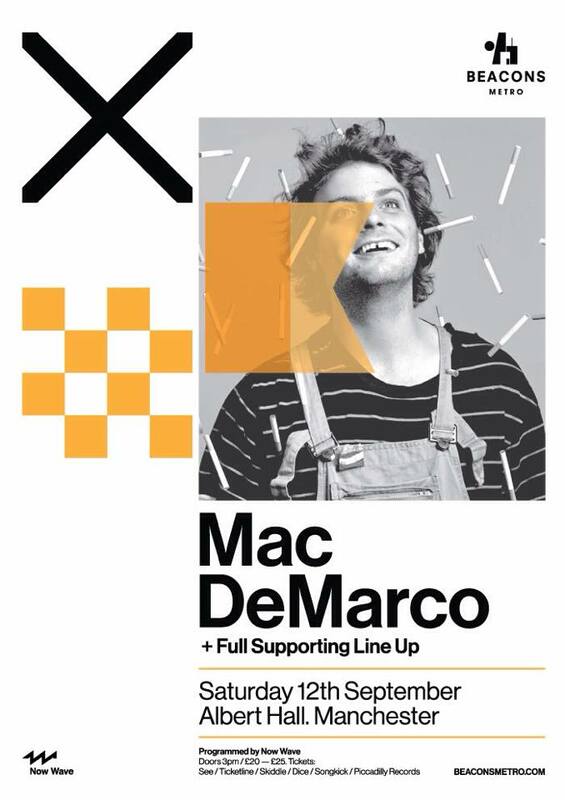 Beacons Metro in Manchester features everyone’s favourite gap toothed, slacker rocker Mac Demarco who will headline a special all day event in Manchester’s finest venue the Albert Hall. Taking place on the 12th September with a host of Beacons favourites, the full line up will be revealed very soon. Early Bird tickets are on sale, priced at £20 + booking fee. 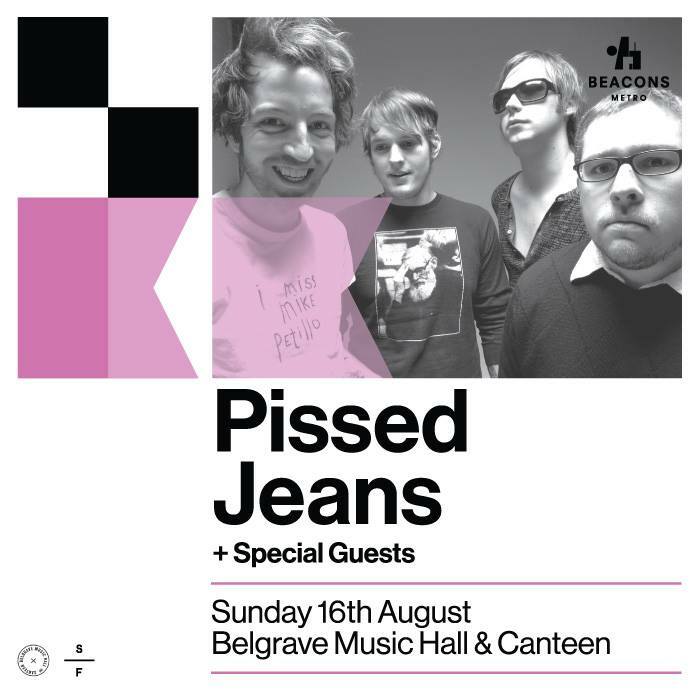 Beacons Metro’s Leeds programme begins with a special warm up party featuring Pissed Jeans that will take place at Belgrave Music Hall on the 16th August. Beacons Metro will then move to Headrow House, a new multi level arts and music space in Leeds, where it will programme the new venue for 12 weeks. The first run of events revealed today includes the relentless 303 bass lines of Factory Floor, a special performance run in association with Recon Festival by Hookworms collaborating with Richard Formby (Ghostpoet, Wild Beasts producer). With an impressive run of events also including the riff onslaughts from punk heavy weights Titus Andronicus, TRAAMS & Ex Hex to more subtle and delicate sounds of Son Lux, Lonelady and East India Youth. A former textile mill, Headrow House is a previously unused gig space in the heart of Leeds City Centre that opens later in the year. More details are to be revealed soon.